Yes. 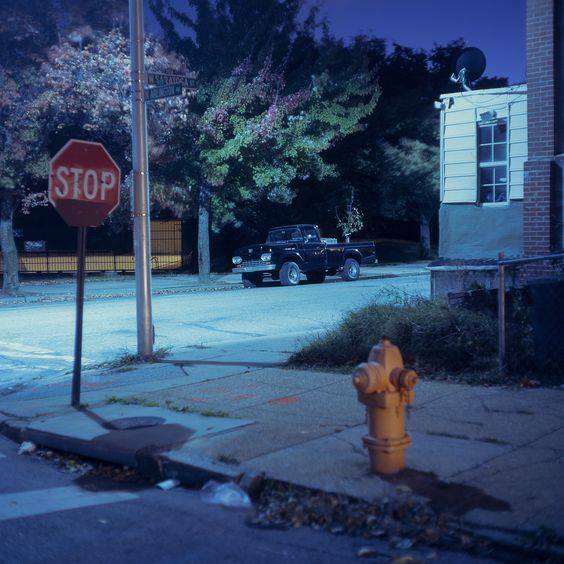 This is a Stop Sign. Anyhoo, if you like reading this site, my apologies, but see explanation below. Attention: I’m going on hiatus. Dear folks who read That Devil History. If you’re out there (and I know there’s a few of you! ), you may have noticed that the posts on my site have been fewer and far between of late. This has largely been due to a general dearth of time on my part, not a lack of inspiration. Being in charge of a two-year old full-time is intensely rewarding but also rather time-consuming, and coupled with the other obligations of life, squeezing out the temporal space to write the kind of in-depth, long-form essays that I enjoy creating has become more and more difficult. But there’s another reason I haven’t been writing as much. Frankly, I’ve grown rather weary of a lot of things that I’ve spent the better half of a decade pursuing, from the academic grind, to chasing after the ever-elusive ghost of monetarily compensated writing, to covering the increasingly mind-melting stupidity of modern American politics. 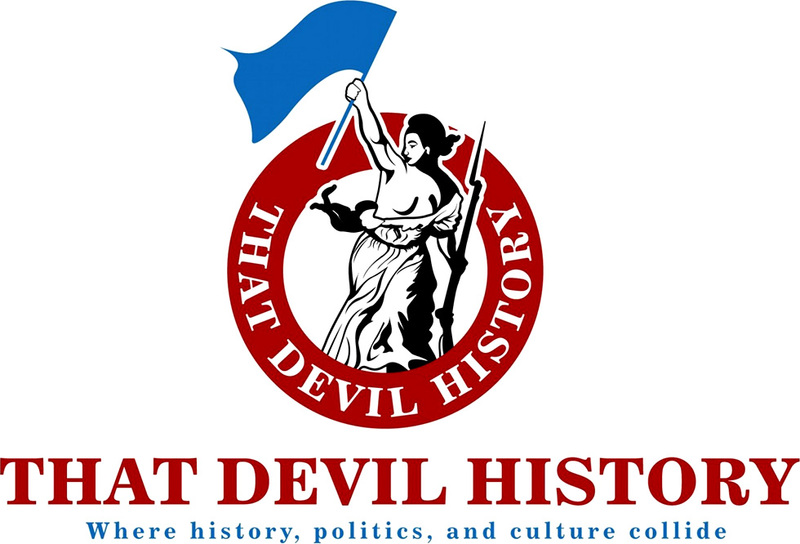 I’ve been writing at That Devil History fairly regularly since 2014, and I started this site specifically as an outlet to discuss intellectual and academic themes in a way that was unshackled from the constraints of academic writing. Basically, what you read on this site are my thoughts in my language, and it’s been a real joy to write for anyone out there who would listen. Over the course of the last few years, however, I’ve undergone a series of personal changes that have led me to shift my interests elsewhere and away from regular writing, and with an already limited time schedule, pursuing these other interests means that I need to give writing a break. Moreover, I’ve become exhausted with American politics and culture in the age of the Great Orange Moron. As much as I enjoy writing about politics, the current American political situation has left me drained of much of my vitality and interest. Basically, life is too short to spend so much of your intellectual and emotional energy trying to understand the many facets of idiocy, and I just don’t want to bother with said task anymore, or at least for a while. I’m plain tired of it all. So I’m taking a break from putting so much of my attention on the public sphere, and I’m going to purposefully retreat inwards for a while to focus on some things that I’ve neglected for years under the mistaken assumption that following insisted paths laid down by others is the best way to curry favor in this world. But let me make it clear: I’m NOT going to stop writing at this site forever, I’m merely going on hiatus. I may even write the odd new piece here and there if the time and the mood strikes, but it’s likely that you won’t see any new pieces on That Devil History for a while. I really don’t know how many people out there have read my stuff. Sometimes it feels like I’m just screaming into the primordial internet void, one inconsequential drop of moisture in the vast cyber sea. Moreover, devoting hours of time and research to uncompensated writing doesn’t exactly help pay the bills, although I had no false illusions that it would. I know that I’ve had a few regular readers who enjoyed and shared my content, and for that I’m deeply grateful. Thanks so much for your attention, it truly means a lot. For now, I’m signing off. I’m sure I’ll be back in time, but I’m not sure when. Stay positive out there, and, above all, resist. I totally understand taking a break, for all of the reasons you have listed. But you will be missed. I’ve loved reading your posts as they are one of the few rational commentaries on the idiocy, at all levels, of American society. Enjoy your hiatus and don’t be a stranger! Wow, thanks for the vote of confidence! I really appreciate it. I too will miss your wonderfully insightful essays into the American experience. I don’t know why, but the words of a fictional commodore come to mind. To loosely quote: I would expect the man behind this blog to show the same care and dedication to every aspect of his life. Anyway, best of luck and God’s speed! Wow, that’s some praise I’m not sure I deserve, but thanks! I enjoy reading your stuff too. I have you in my RSS feed, so I’m never quite sure if that lowrers the numbers for you. This reader in the Metro Detroit area wished you well and looks forward to your return. I’m a new subscriber as of March ’18 – you are not irrelevant. This is doubly disheartening because not only has modern politics appear to have worn you down but we, the people, temporarily lose a capable soldier willing to highlight modern politics with thoughtful literature. Take care and set milestones – post once a year? Twice? My despair is that few will read it, and Warren will certainly not respond to it. I have made many comments, but lately, not so much. That’s why I understand your reluctance to expressing your thoughts any more. It’s like casting your thoughts to the wind. I too, have responsibilities to nearly helpless dependents, which takes priority in time and energy. I have been up at least a half a dozen times for one thing or another, while trying to write this. My weakness is that I can hardly resist responding to people who provoke my intellect. I have been keeping a record of my Facebook comments in a personal file, in order to convince myself that it’s not just wasted time. I feel that by writing my thoughts down, I am discovering who I am. I have been trying for over two hours to write just one conclusive sentence or thought, but that clarity of reason is blocked by external noise and internal failure. My questions will probably not ever be fully formulated, let alone answered. So I guess that makes me just one of the billions of squirming human beings, whose free will is severely limited in scope. But it is still worth while to try to be more. Michael, give some thought to studying Nietzsche’s thoughts on the Will to Power. He has a lot to say about those who are “more concerned with themselves than with the common good.” Not many people, in my experience, see the full import of Nietzsche’s ideas. They tend to dismiss him as a madman. And yes, writing your thoughts down is definitely a way to discover who you are. The trouble with Nietzsche is that I can’t pronounce it and five minutes later I can’t spell it. I suppose he got a bad reputation partly due to the association of his Superman concept with Hitler’s Nazism. Rightly or wrongly. Not too many people are able to grasp a particular philosopher’s concepts in their entirety, so they are left with a few slogans or statements, which are usually distilled from scholars. Generally speaking, I find that my understanding of philosophers usually changes as my experience and perspective changes. (Relativity?). Lately, I am developing my own worldview, and find the influences of others may be more of a distraction than a help. I’m always thinking that I’m in new territory, but then I find that someone else has already been there. I don’t mind being one of the squirming billions. At least I got the chance to squirm. When you look closer, some of the multitude are also striving to be more. But that’s when they start looking for a “Leader”. As for writing and self discovery, thoughts need to be physically expressed. Solo writing is okay, but dialogue, if you’re lucky enough to get it, is better for motivation, discipline, and inspiration. It’s too bad that you never chose to respond. It’s going on five months now. I would have been, and still would be, a student of your teachings and conversations. It’s a shame to choke off the development of exploratory thought. I will hold you blameless. Hey man, my apologies for that. I just got sidetracked and it totally slipped my mind. I’ve been mostly AWOL on this site over the last few months, but it wasn’t my intention to snub ya. I appreciate you reading over the years, and I hope to get back to writing sooner than later! Ever think of getting a stable full of guest bloggers to help you out? I’d be willing to help. Well, I have a few guest posts over the years, but I like that the blog is my own voice. I wouldn’t rule it out though in the near future.